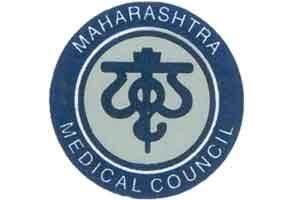 Mumbai : Maharashtra Medical Council on thursday received a show-cause notice from the state government, reportedly, questioning some of the financial decisions taken by the state council during its 5 year tenure, while at the same time giving it another 15 days to respond to the same or the government would order its dissolution . The notice, comes after the state government appointed a panel to enquire into the functioning of the council following a complaint by two nominated members of alleging financial irregularities in some of the scheme started by MMC. These related to a scheme of CME fund that was used to facilitate doctors as well as another scheme to provide financial help for families of doctors who died in road accidents reports TOI. The panel, set up a month ago to review MMC’s workings, took issue with many of its decisions, including renovation of its Chinchpokli office, grant of concessions under a licence renewal scheme, and holding of an awards function in April reports Mumbai Mirror. The panel, has been headed by Dr Kuldip Kohli, director of Ayurveda Maharashtra, who confirmed on this that ‘confidential’ report on his findings has been submitted, without revealing any details. Sources at the Mantralaya have informed Mirror that a 35-page notice was issued to the chairman of MMC on July 27, citing clause 31 of the Maharashtra Medical Council Act (1965), which states that in case the council failed to address issues pointed out by a showcause notice from the government, the government has the power to dissolve the council. The same rule also grants the government power to appoint an administrator to the council for two years and then the government can constitute a new council. MMC has now been given 15 days to address the said issues, or the government may dissolve it. Sources at the MMC have confirmed that such a notice has been issued, while at the same time mentioning that no financial irregularities took place in the functioning of MMC and all this being a move to submerge the autonomy of the state medical council. Coincidently, the committee, headed by one ayurvedic practitioner, began its investigations, roughly the same time the government appointed an ayurveda professor Dr Dilip Wange as MMC registrar, a decision over which IMA state branch has taken the government to court. It is also further reported that finally the state government has also appointed a returning officer to oversee the elections for a new council. This comes after the council itself sent reminders to the govt on April 7, May 10 and May 25 – to issue a directive for the election as well as after rap of the Bombay high court on the same. I THINK GOVT WANTS TO THRUST THEIR OWN CANDIDATES OR RUBBERSTAMP IN MMC.THIS IS ARM TWISTING.WHAT AYURVEDIC DOCTORS CAN\’T ACHIEVE CLINICALLY THEY WANT TO ACHIEVE POLITICALLY.